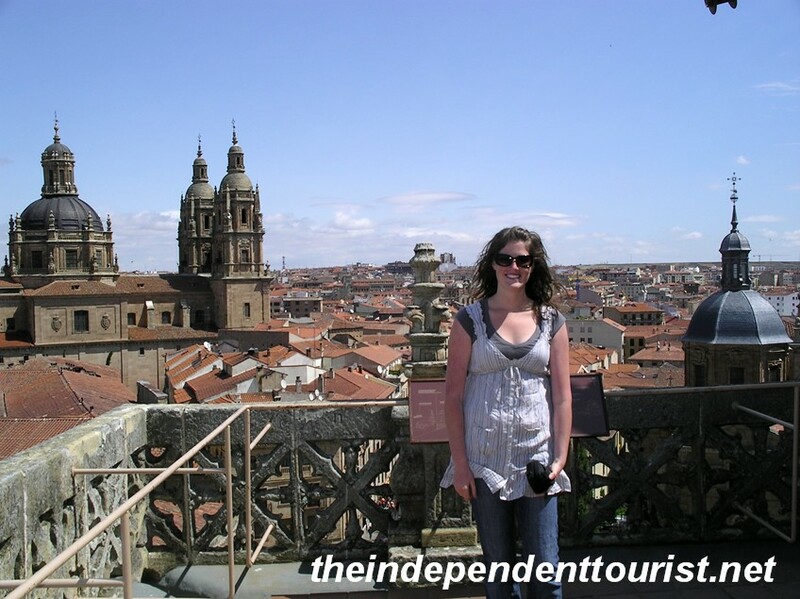 Along with Toledo, Salamanca is one of my favorite cities in Spain. It has so much to offer in a compact area: an ancient university, two old cathedrals, a beautiful Plaza de Mayor, an old Roman bridge, and other remarkable sights. Salamanca is 132 miles (212 km) northwest of Madrid. Salamanca is northwest of Madrid. The founding of the city goes back to pre-Roman times. 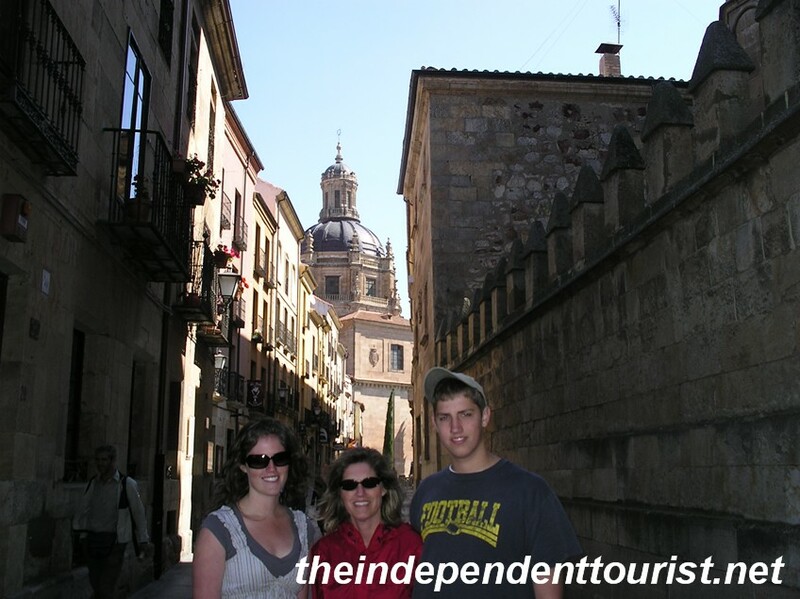 The stately architecture of the old town gives it an aura of distinction, which has been earned–Salamanca has been an important center of learning for a thousand years . The narrow streets of Salamanca. 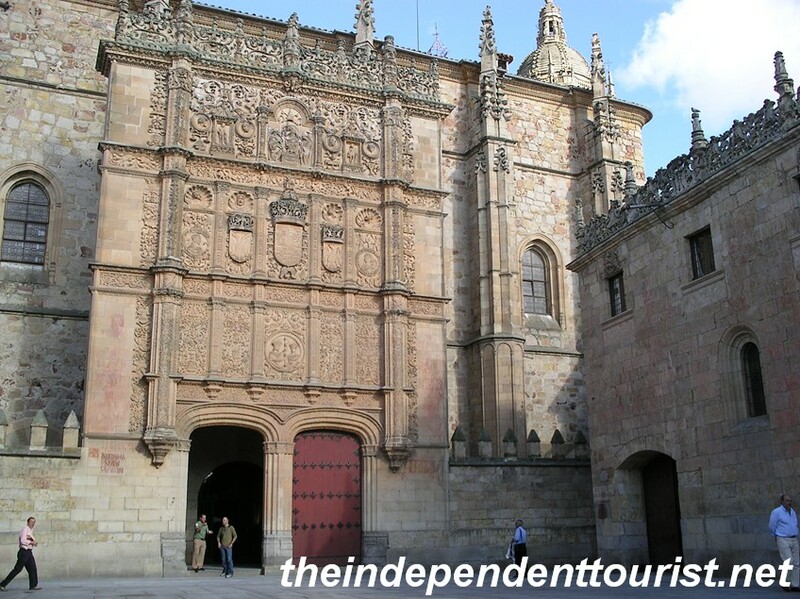 Although “Plazas de Mayor” are found throughout cities in Spain, one of the grandest is Salamanca’s. I had heard how great it was, but didn’t understand until I visited. 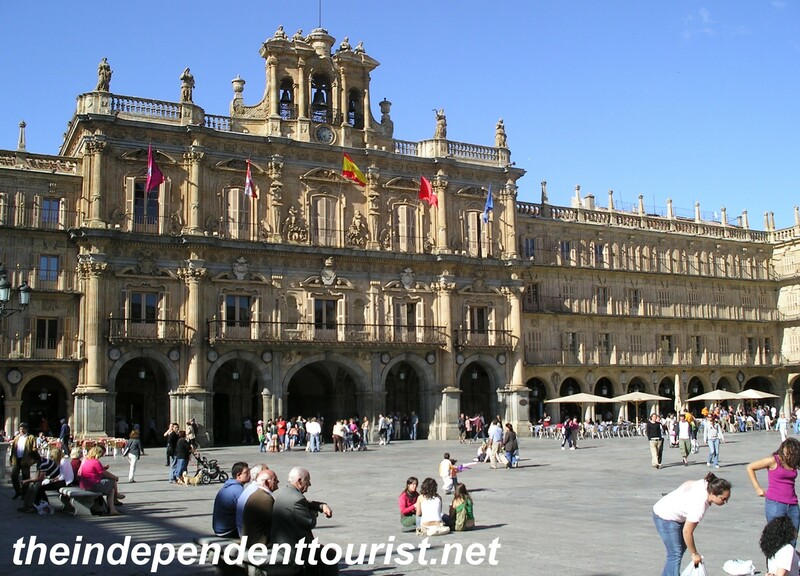 This 18th century plaza is one of Spain’s largest, bordered by majestic architecture. Salamanca’s great Plaza de Mayor. The Plaza Mayor is a great place to rest and absorb the wonderful surroundings on a sunny afternoon. These two cathedrals adjoin one another. The old Romanesque cathedral is from the 12th and 13th centuries and the “new” 16th century cathedral is more Gothic and Baroque in its design. Luckily the old cathedral was preserved, rather than being torn down to make room for the new cathedral. Although hard to tell, the old cathedral is on the right and the new cathedral towers over the old. They both have beautiful frescoes, altarpieces and other precious art. 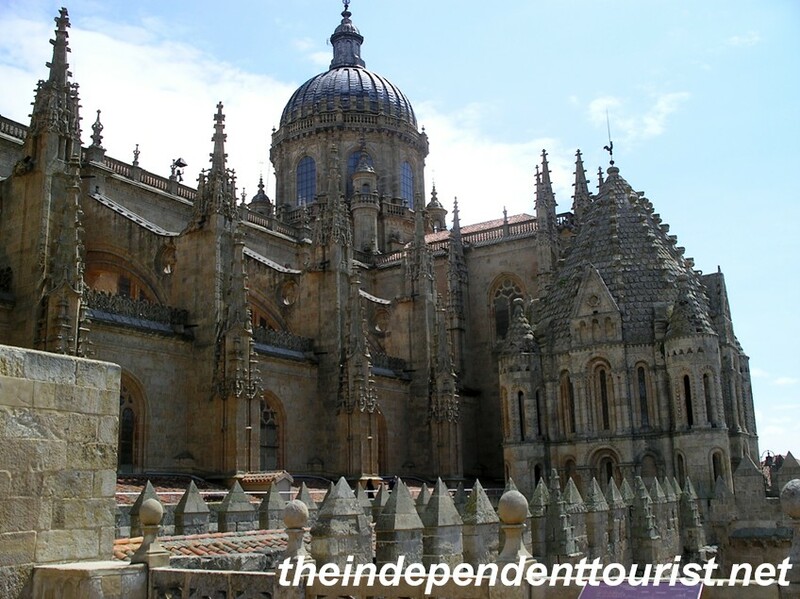 Be sure to go up to the roof for a great view of old Salamanca. View of Salamanca from the roof top of the Cathedral. Founded in 1218, Salamanca University is one of Europe’s oldest and still functions as a top university in Spain, attracting students from around the world. One of the lecture rooms still has its original furniture. The 13th century student seating in this lecture hall is original. The elegant courtyard of Salamanca University. Columbus met with geographers here to make his case for his famous western voyage to the Indies (which of course turned out to be the Americas). The Patio de las Escuelas of Salamanc University. 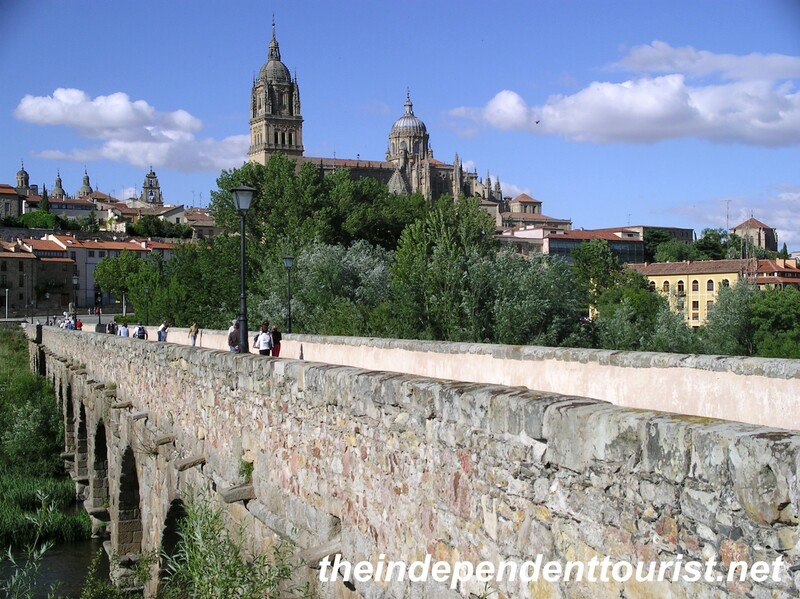 Venture south of the old town to take a look at the Puente Romano (Roman Bridge), built in the 1st century AD. 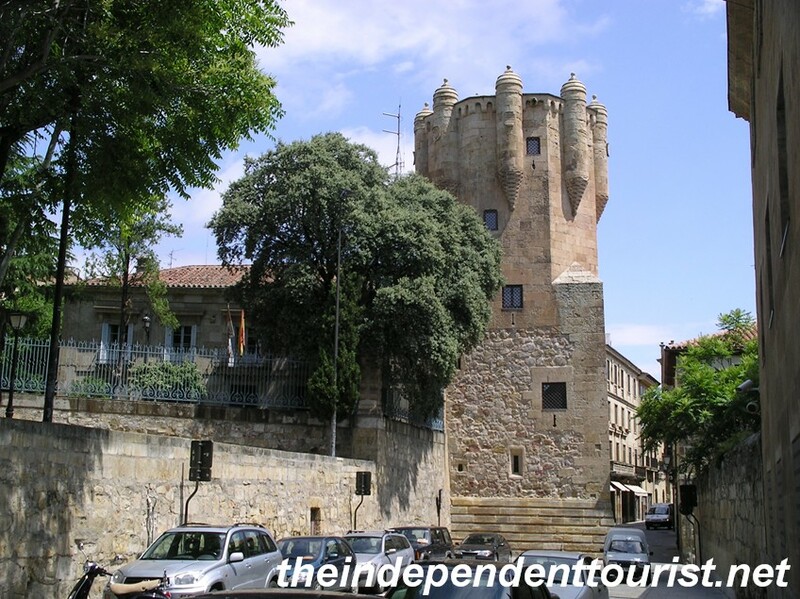 The Torre del Clavero (a 15th century tower), other old churches, convents and museums also beckon. The 1st century AD Roman Bridge in Salamanca. 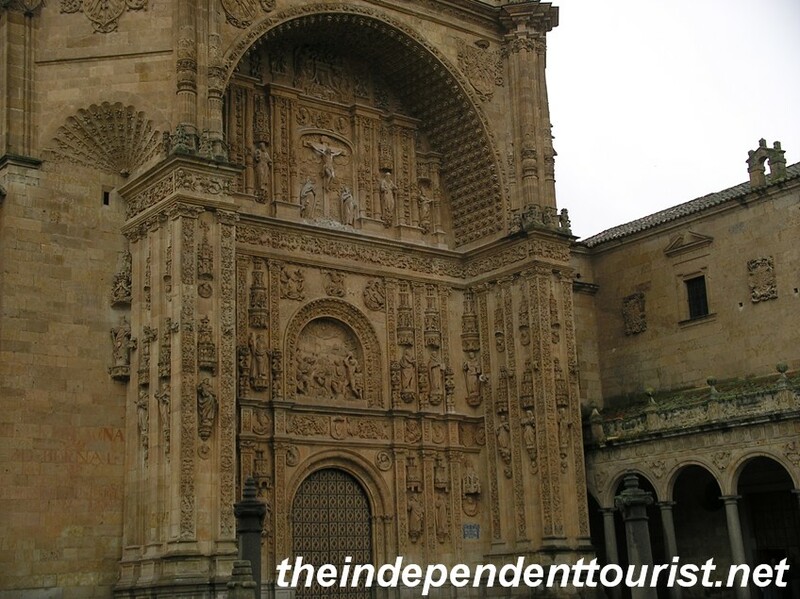 The intracately carved entrance to the Iglesia-Convento de San Esteban, a 16th century Dominican monastery. 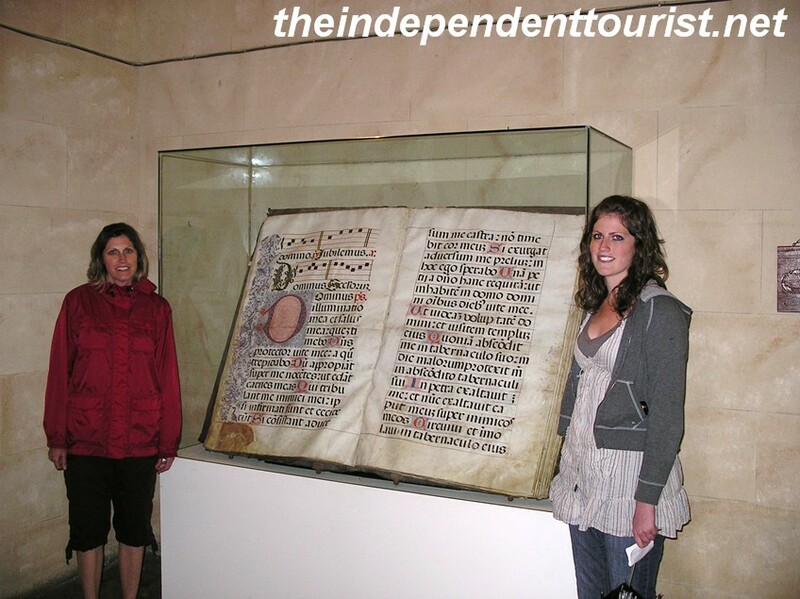 Huge ancient manuscript in the Iglesia-Convento de San Esteban. The Torre del Clavero (15th century) in old Salamanca. Just wandering through the old town is a joy. 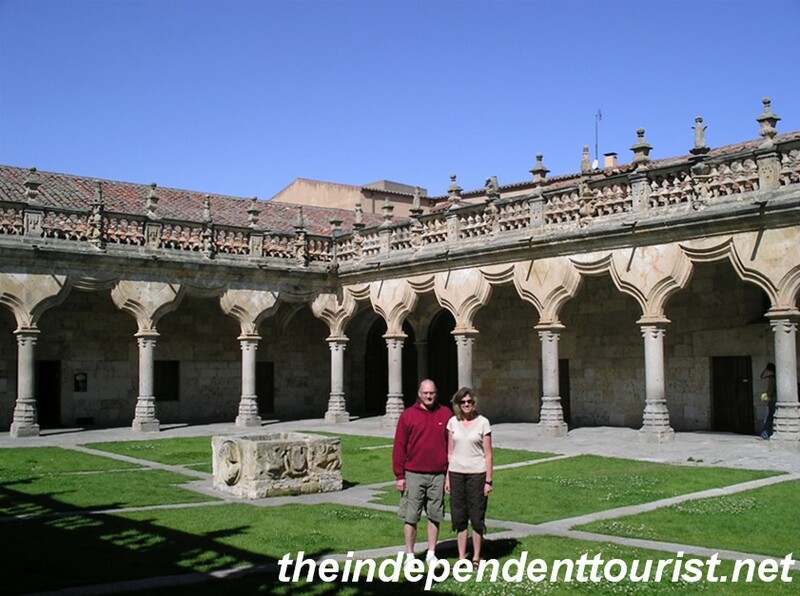 Be sure to visit Salamanca on your next trip to Spain! 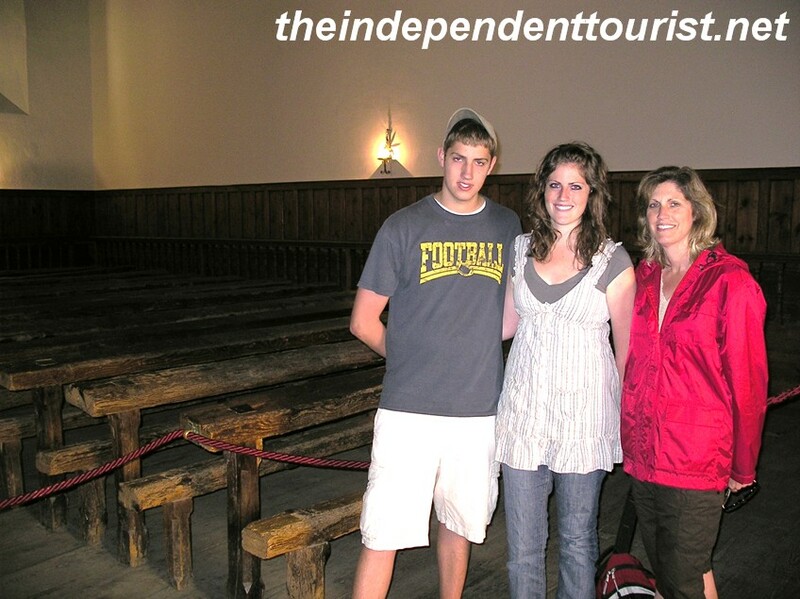 Posted in Spain and tagged Salamanca, Salamanca University, Spain Travel, Things to see in Spain on May 31, 2014 by Paul Terry.